Why we chose our design. In simple terms, the U.S. Armed Forces are made up of the five armed service branches: Air Force, Army, Coast Guard, Marine Corps, and Navy. There are three general categories of military people: active duty (full-time soldiers and sailors), reserve & guard forces (usually work a civilian job, but can be called to full-time military duty), and veterans and retirees (past members of the military). And of course there are the millions of family and friends of military members, past and present. However, FOVA Post 655 of McConnellsburg, PA is here to honor and serve first: the three general categories of military people and our community at large. Hours of dedication and hard work enable Post 655 to serve and honor our military folks and many local community organizations. We are committed to helping where and when we can as a way of paying back those who have sacrificed so much for all our individual freedoms and the volunteers who serve our community. 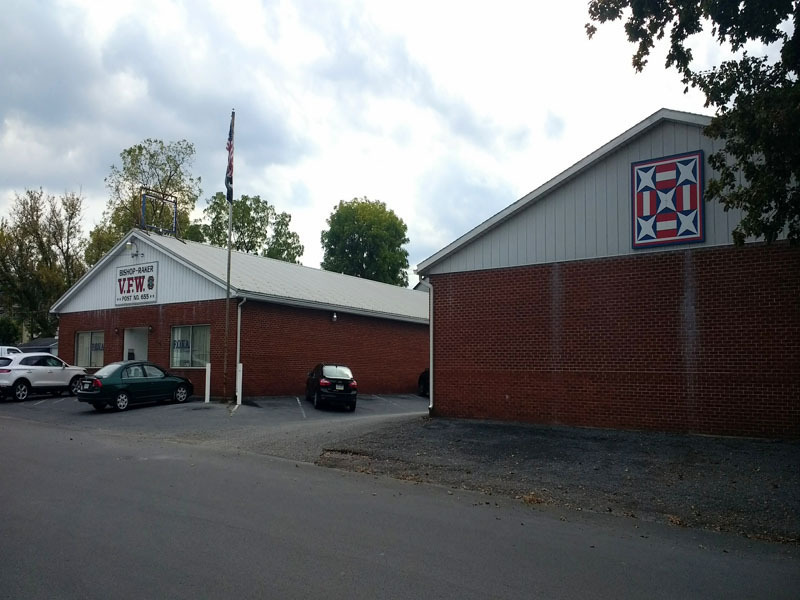 We are proud to be a member of the Frontier Barn Quilt Trail of Fulton Co., PA and we are proud to display our patriotic barn quilt for the enjoyment of our wonderful community and visitors alike.